Passive transition lenses for glasses have been available for decades to help protect eyes from harmful ultraviolet light. However, glasses are not always convenient and can be broken. 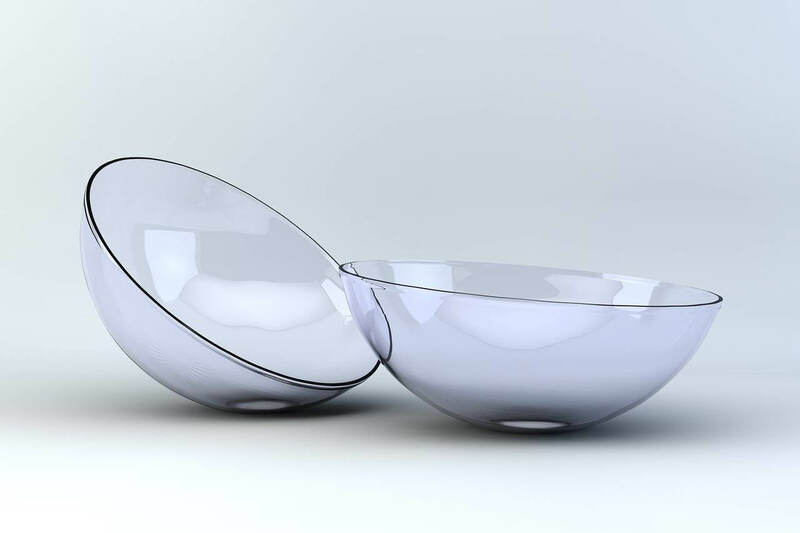 Johnson & Johnson Vision (JJV) in partnership with Transitions Optical has received FDA approval for contact lenses that adapt to lighting conditions. It has taken more than 10 years and 1,000 patients participating in clinical trials to bring transition contacts to fruition. Transitions Optical specializes in photochromatic lenses and has shared its expertise with JJV to push the product to completion. Instead of squinting outside or dimming the lights inside, filtering of UV light and attenuation of bright visible light will help protect wearers from harmful effects of overexposure. Even though transition contact lenses will help people see more clearly and provide moderate protection to their eyes, they are not a full replacement for sunglasses. Contacts do not cover the entire eye, leaving uncovered portions exposed to environmental conditions. One question that remains is how will contact lenses that darken look in someone's eye? Contact lenses are a mainly functional medical item, but many wearers might not be a fan of having dark circles in their eyes. On the contrary, the technology may be developed enough that the effects are not blatantly obvious to bystanders. Achieving 510(k) clearance from the FDA allows medical devices to enter commercial distribution for the first time. Acuvue Oasys with Transitions will be the first pair of contacts capable of mitigating changing lighting conditions and will arrive as one-month reusable lenses. Unlike other breakthroughs in research and development, Johnson & Johnson is pleased to announce that their transition contacts will go on sale during the first half of 2019.